Michael Chertock received bachelor and master of music degrees from CCM where he studied piano with Clifford Herzer, Robert Weirich, Frank Weinstock and James Tocco. As an orchestral soloist, he has worked with James Conlon, Jaime Laredo, Keith Lockhart, Erich Kunzel and Andrew Litton. 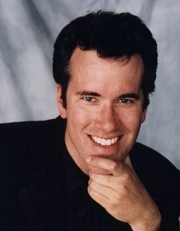 Solo performances include the Philadelphia Orchestra, Boston Pops, l'Orchestre Symphonique du Montreal, Toronto Symphony, Baltimore Symphony, Naples Philharmonic, Detroit Symphony, Cincinnati Symphony Orchestra, Chattanooga Symphony, Utah Symphony, Oregon Symphony, Indianapolis Symphony and the Dayton Philharmonic. He has presented recitals and made chamber appearances at the Linton Chamber Music Series, Mayor's 801 Plum Series, Steans Institute of the Ravinia Festival and Grand Tetons Music Festival. For radio and TV, he has given recitals with Mark Oswald, Alyssa Park, Larry Combs, Eddie Daniels and Ricardo Morales-Matos. His recordings include Cinematic Piano, Chamber Music of Frank Proto, Palace of the Winds, Christmas at the Movies, Love at the Movies and CSO's Festival Prelude for Organ and Orchestra, on which he was the organ soloist. In 2005 Chertock gave the world premiere fo Tod Machover's Concerto for Piano and Orchestra with the Boston Pops, which he repeated at the Boston Music Awards, at MIT and in Portugal. In 1991 he was awarded the silver medal at the World Piano Competition of the American Music Scholarship Association. Other awards include the 1989 Joanna Hodges International Piano Competition prize, 1993 St. Charles International Piano Competition grand prize, the 1988 and '90 winner of the CCM Concerto Competition and first prize in the 1990 Rildia Bee O'Bryan Cliburn Competition. Before coming to CCM, he was a visiting professor at Miami University. This season Michael Chertock will perform as soloist with the Utah Symphony, San Diego Symphony, Dayton Philharmonic, Chatanooga Symphony, Sheboygan Symphony and the Bryan Symphony. In September 2004, he conducted Frank Proto's "My Name is Citizen Soldier" with the Blue Ash-Montgomery Symphony Orchestra. He will tour England with the National Youth Orchestra of Britain in January 2005.